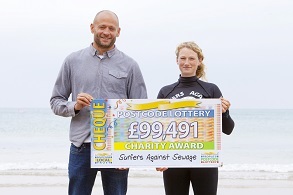 Marine conservation charity Surfers Against Sewage (SAS) is delighted to have been awarded an incredible £100,000 by People’s Postcode Trust to grow its highly effective network of marine conservation volunteers around the UK. 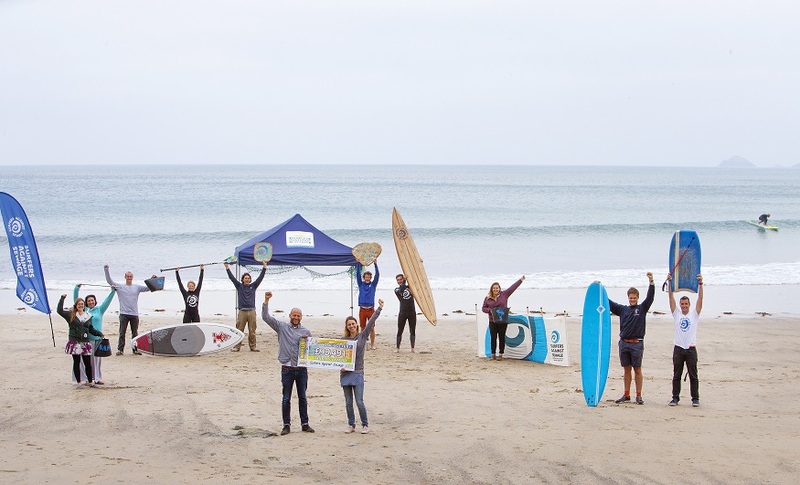 Thanks to players of People’s Postcode Lottery, these funds will enable SAS to expand its current team of Regional Reps to a further 50 beaches and coastal locations, expanding the network to 125 communities. Surfers Against Sewage Regional Reps team is a committed group of volunteers who share a passion for protecting our oceans, waves, beaches and marine wildlife. From humble beginnings, the network has grown to cover some of the country’s most iconic beaches and surf spots, working at a grassroots level on local conservation issues and activities such as beach cleans, through to promoting national campaigns and environmental initiatives. The team of Regional Reps converge regularly for training and community events, joining marine conservation experts, charity professionals, activists and industry leaders to gain the knowledge they need to protect the beaches they represents. Surfers Against Sewage Reps take a holistic approach to the protection of their local area, running beach cleans, delivering citizen science projects, undertaking community surveys and running education and advocacy work with schools, colleges and community groups. Their tireless efforts have helped mobilise over 15,000 beach clean volunteers in the last year alone, inform thousands of school children on the latest threats to our marine environment and engage communities on issues from marine litter to climate change. Surfers Against Sewage is extremely proud of the inclusivity of the Regional Reps programme, which includes people of a diverse range of ages, backgrounds, skills and abilities. The team has included everything from shark scientists to pro surfers, schoolteachers to Olympic athletes. They all share a common deep blue connection with the ocean and have an active role at their local beach on a weekly basis. Their very powerful relationship with the sea drives them to unite in the protection of our oceans and beaches for everyone. If you’ve been inspired by this you can send in your CV and covering letter to SAS’s Regional Reps co-ordinator Jack Middleton at jack@sas.org.uk. To find about more and to be kept up to date with all of the exciting announcements drop the SAS team a line at jack@sas.org.uk or call 01872 553001.